Bilal, S. 2013. 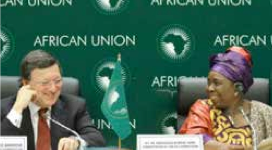 Thematic focus: A new impetus for Africa-Europe relations. GREAT Insights, Volume 2, Issue 6. September 2013. Maastricht: ECDPM. As Africa celebrates the 50th anniversary of the foundation of African unity, it is appropriate to reflect on Africa’s achievements and ways forward. The world is changing, so is Africa… and so is Europe. The relations of Africa with its partners, including the Europe Union (EU), should thus also evolve, to better reflect new interests and geo-strategic dynamics at play. The next few months, culminating with the 4th EU-Africa Summit of April 2014 in Brussels, provide an excellent opportunity to that end. Taking advantage of the commodity boom, Africa has been able to achieve sustained growth – over 5% – over the last decade, and has so far exhibited significant resilience to the economic and financial crisis that has plagued economies in the North. Poverty is falling while governance and democratic accountability is improving in many countries. But numerous challenges remain, notably in terms of peace and stability, job creation (in particular for the youth population), and social development. The effective pursuit of new African strategies for the structural transformation of their economies, building on and diversifying away from raw commodities towards greater value addition through industrialisation and services, will be critical to ensure sustainable and equitable development over time. This will also require an improved capacity to mobilize and better manage domestic and international resources, most notably to finance its large infrastructure needs. In this process, integration and cooperation dynamics, from an economic, political and security perspective, should also be strengthened and when appropriate reconsidered, at the regional as well at the international level. As a new emerging continent, Africa needs to reposition itself towards its traditional partners – moving away from an aid recipient approach to a more assertive and balanced relation – as well as towards other emerging and Southern partners. By the same token, Europe should frame its relation with Africa in a renewed paradigm. It should no longer be dominated by a donors-recipient framework, which is still too often perceived as tainted with reminiscent paternalism. Instead, the European approach should more explicitly acknowledge and reflect its own economic and political interests in Africa, while maintaining the strong principle- based and value-driven approach that characterize EU international relations. It is only by building on their common interests and objectives, with clearly defined priorities for action, while recognizing their differences, that truly effective strategic relations between Africa and Europe can flourish, away from some of the technocratic modalities that have too often dominated the Joint Africa-EU Strategy so far. The economic partnership agreements (EPAs) are a case in point. The EU has too often failed to recognise the political dimension of these new economic agreements, apparently more concerned about avoiding that EPAs “capture” the Summit (like in 2007), than trying to understand the concerns expressed by some African capitals. Instead, the political and strategic dimension of the EPA dossier would be better addressed head-on, so as to jointly identify differentiated solutions reflecting the diversity of situations and interests in Africa. This issue of GREAT Insights brings together a number of key contributions, from the heads of the European Union and African Union, respectively, as well as eminent personalities and experts, providing useful insights on achievements, new parameters and future directions that could come to shape strategic relations between Africa and Europe. San Bilal is Head of the Economic Governance, and Trade and Regional Integration Programmes at ECDPM. This article was published in GREAT Insights Volume 2, Issue 6 (September 2013). 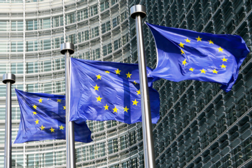 EC Communication on Trade, Growth and Development: A good start or a missed opportunity?